Steve Laube is well-known by regular attendees at the Northwest Christian Writers Renewal. A literary agent and president of the Steve Laube Agency, he’s been in the book industry for over 37 years, first as a bookstore manager, then with Bethany House Publishers, and now as an agent. He and his agency have represented more than 1,500 new books. 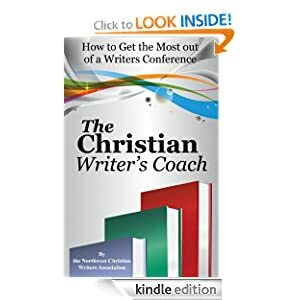 In addition, he is the publisher at Enclave Publishing and serves as president and owner of The Christian Writers Institute and author of The Christian Writers Market Guide and Book Proposal Tips and Tricks. Of all the roles he plays, Steve loves being an agent most because it involves all the fun of publishing with none of the meetings. Like a parent, he loves working with all of the authors he represents equally and says they are each wonderful in and of themselves. Each project moves along at its own pace, with some taking months to develop a strong proposal and others only days. Fiction – women’s fiction, romance, thriller, suspense, romantic suspense, literary, military, historical (all eras), contemporary, science-fiction, fantasy, supernatural, YA … in other words, every genre published in the industry. Nonfiction – Christian Living, biography, apologetics, theology, Bible study, reference, health, finance, self-help, psychology, grief, suffering, marriage, family, women’s, men’s, philosophy, church life, devotional, inspirational, social issues, politics, parenting, music, and art. On a more personal level, Steve has been married for 36 years. He and his wife have three married daughters and one grandson. He lives in Arizona, but enjoys visiting Seattle because his 93-year-old mother lives here. He reads about 100 novels a year for relaxation after work and teaches the Bible in an expositional style each Sunday. Landmines in Your Book Contract – A look at some of the more egregious things that can be found in your book contract. Contracts are a legally binding agreement. What is signed must be followed. Unfortunately, there are certain clauses that can bite authors if they are unaware of their implications. Using real examples from real contracts, this class will take a close look at clauses being placed in front of authors today. This is a rather advanced topic. Be prepared to wear your lawyer hat! The Complete Book Process: From Idea to Print – What is the route a book takes while in-house? How the writer can help or hinder? Discover what happens along the entire process inside a publishing company. From book proposal evaluation to pub board decision making to editorial responsibilities to cover design issues and more, this information is applicable whether one is working with a traditional publisher or is publishing independently. Writing the Nonfiction Book – There are common elements in nonfiction books that contribute to their success. This class will explore them and help apply the elements to your work. Issues of craft, presentation of ideas, and connecting with the reader will be discussed. Check out all the workshops being offered this year.To request an appointment with Steve, register soon for the Renewal. Nick Harrison is a familiar face at the annual Northwest Christian Writers Renewal, and we are thrilled to have him return again this year. His friendly demeanor makes him approachable and invites questions that he is highly capable of answering after many years in the book business. WordServe Literary was formed by Greg Johnson. Nick has found Greg to be a helpful mentor in his transition from editor to agent. “The great thing about being an agent is that if I love a certain proposal and it finds rejection at one publisher, I can keep championing it to other publishers. As an editor, if I loved a proposal and it turned out not to be a good fit and had to be rejected, that was the end of my relationship with that proposal,” Nick says. As an agent, Nick expected to represent several fiction authors, but so far he only represents one and has another under serious consideration. He also represents an author of children’s books. He has found himself taking on projects he never thought would exist, and he likes the surprises he’s encountered so far on this journey. In addition to representing authors, Nick has authored 10 books of his own. Several of these are devotionals and prayer books that can be seen on his website and Amazon.com. Nick’s next release is called One-Minute Prayers for Those with Cancer. It’s the book he wishes didn’t have a market. Nick loves what he does and especially enjoys meeting new writers and helping guide them in their writing career. Be sure to say hello to him at the Renewal. He is looking for adult fiction in all genres except speculative fiction. For nonfiction, he will look at self-help, spiritual growth, social issues, women’s books, men’s books, and personal experience books if the lessons from the experience are applicable to a large segment of the population. He is not looking for children’s books, prophecy, poetry, or gift books. Common Mistakes Writers Make and How to Correct Them by Nick Harrison – In addition to having been an editor at Harvest House Publishers, Nick is also a writer. He understands the frustrations every writer faces. To the beginner, he can offer to show his pile of rejection slips. To the advanced, he can offer to show his pile of rejection slips. Becoming a published writer takes time, talent, and persistence. The mistakes Nick will talk about are indeed common—and he says he has made them all. Check out the rest of the workshops being offered at this year’s Renewal. To request an appointment with Nick, register soon. With a fiction tagline as creative as we all wish ours could be—Suspense sealed with a kiss—is it any wonder that Linda S. Glaz is a multi-published author of historic romance and romantic suspense novels? Linda particularly likes to write about creepy characters that readers love to hate. “There are scary people out there, and it’s wonderful to write about them in the warmth and safety of home. Besides, creepy people have some crazy stories to tell. So why not let them? Add in a bit of romance and what’s better?” she says. With life experience in the Air Force during the Vietnam conflict, teaching women’s self-defense, and refereeing and teaching soccer for 25 years, Linda draws on her varied background while writing and editing. Adding an enthusiasm for musical theatre to her penchant for adventure rounds out her ability to create intriguing characters and plot lines that keep fans coming back for more. What’s she really looking for? With those parameters in mind, do not bring her hard copies or proposals for children’s books—or anything that has graphic sexuality or profanity. Don’t miss meeting this dynamic literary agent! Sign up now for the 2017 Northwest Christian Writers Renewal. Don’t make the mistake of not planning for meals. Have a little snack stashed in your attaché for a slow moment. Don’t let your stomach growl when pitching your book! Bring a granola bar or trail mix as a speedy way to subdue your hunger. Choosing protein and low-sugar options will help keep your energy levels up and prevent you from crashing in the mid-afternoon slump. Attending a conference with no goals in mind is a complete waste of money. Even if your goal is “find out what my goal should be,” you should still have some in mind. Make a list of the editors and agents you want to meet with or touch base with. Do your homework and research them online. Try to find out interests, and see if your story would fit well for them. If an agent only works with fiction, don’t try to get them to make an exception for your manuscript. Know what is the right amount of conference for you. When you start to feel overwhelmed, leave the conference. Go outside, take a nap, call your family. Skipping meals or sleep will not impress anyone, but rather give the impression that you are inexperienced and unprofessional. Everyone needs a break after a long conference, but rest assured you can recover. Read more here about avoiding conference burnout. Don’t underestimate the power of connections and friendships made at conferences! Use your time between sessions to speak with those around you. Swap struggles and tips with other writers and make sure to get names and e-mails if you feel the connection has potential. Writer friends are important for support, idea generation, and later networking opportunities. Be kind and see where it might lead! Know your story backwards and forwards. It’s hard to sell a story short and sweet, but shoot for the style of a back cover. Focus on the main plot and emotional draw. In three to five sentences, explain the mass appeal of your work and why the publisher should be interested. Be polite, but don’t waste time chatting about the weather or the conference. The agent or editor is there to hear your pitch. 6. Follow up and follow through! Follow up with everyone you spoke with for more than a few minutes. Send them a thank you e-mail referencing interesting conversation points you discussed and tell them it was nice to meet them. This little touch will remind them who you are and set you apart from the crowd. Follow through with anyone who asked you to send them something. If an editor asks you to tweak your story before sending them your manuscript, don’t let pride or lack of time stand in your way. Send it to them with haste! You may find that they are willing to work with you in the future, knowing how dedicated you are to impressing them. Now that you know the rookie mistakes to avoid at writers conferences, be sure to sign up for the 2017 Northwest Christian Writers Renewal! Katelyn S. Bolds balances work as web editor, author services extraordinaire, and freelance writer. She is married to coffee; also her husband. At times this DIY life might get a little crazy, but she takes it one day at a time. A little yoga, a lot of organization, and a holistic approach make for a Bold Life. Follow her on Twitter, (@KatelynSBolds), Facebook, and Pinterest. What’s the one thing that some writers say is the most responsible for advancing their literary careers? Yes, at conferences you can meet industry professionals face to face and learn writing techniques directly from published authors. Critique sessions allow you to discuss your works in progress (WIPs) and hash out specific paragraphs or plot puzzles. Spending time with likeminded folks greatly increases your chance of forming strong relationships within the writing community. Thirty years ago at a Portland conference, I met a novelist who invited me to join her critique group. I accepted—and I’m still a member to this day. I first connected with my agent at a February conference on a Washington beach. I met one of my coauthors at a two-day conference held at a Seattle-area church. Other connections have resulted in book contracts, magazine assignments, and clients for my editing business. While the perks of attending writers conferences are well-established, some people find registration costs to be a significant hurdle. In case you’re one of those people, here’s an idea. Consider letting friends and family members know you would welcome a monetary gift in your Christmas stocking that you could use on registration fees. If gift-givers aren’t able to help financially, perhaps they’d be interested in offering childcare or another type of service that would enable you to get away for a couple of days. You can choose from a number of excellent conferences available nationwide. But as director of the Northwest Christian Writers Renewal, of course I think your best option is our own event coming up May 5–6, 2017. The keynote speaker will be writer, director, and film producer Bill Myers of McGee and Me fame. This winner of seventy national and international awards has written more than 125 published books for children and adults. His book and DVD titles have sold more than eight million copies worldwide. When I met Bill last January while we were both teaching at the same university, I realized the wealth of knowledge he can offer writers at any level of expertise. At the 2017 Renewal you’ll also learn from literary agents, acquisitions editors, multi-published authors, and other industry professionals. We’ll be using the lovely venue we enjoyed last year: Westminster Chapel in Bellevue, Washington. Some information is already up on our website, and more will be added soon. Registration will be ready to open in a few weeks. Check the site often for new details. If upcoming holidays don’t bring you enough financial gifts to cover the entire cost of the conference, here are a couple of other ways to stretch your dollars. NCWA’s board has authorized two full scholarships to be awarded to applicants. (Details on the website soon.) Also, some full and partial scholarships are available for those who take on certain conference responsibilities. Whatever financial path you travel to attend the Renewal, prepare to be inspired and equipped—even if Santa ends up having little to do with your getting there. Diana Savage , a graduate of Northwest University and Bakke Graduate University, sold her first article when she was still in college, and she’s been writing ever since. Now the principal at Savage Creative Services, LLC, she also directs the Northwest Christian Writers Renewal conference. She is the author of 52 Heart Lifters for Difficult Times and coauthor of the inspirational suspense novel Pseudonym.